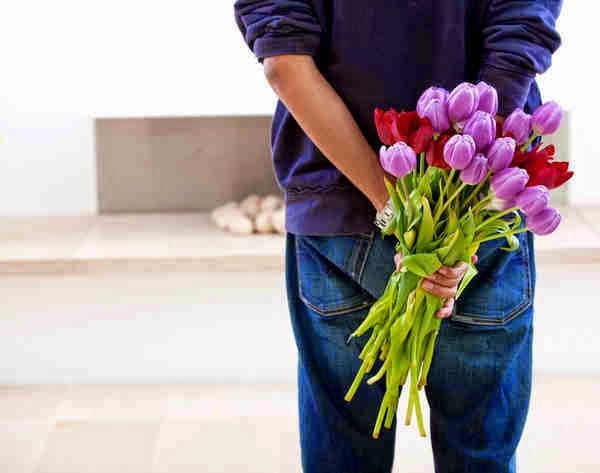 What happens when you see your ex-crush with a bouquet of flowers -- obviously not for you because you haven't seen each other for months -- and he sneaks up from behind you and says hello? ...and the answer is: D! Seconds after you break away from each other, with him motioning towards his cellphone as if to say that he needs to call someone, you congratulate yourself for a job well done and texts your friend on the weird incident that just happened. So after the "incident", which of the things do you NOT do? ... and the correct answer is F!!! But you failed miserably because after being the epitome of cool and swag, you end up doing all of those things above.. Oh nooo! If a straightforward-cut-through-your-heart friend hears this, she will repeat what she told you months ago, "HE. IS. JUST. NOT. THAT. INTO. YOU." Yep. According to the movie Lucy, humans only use 10% of their brain, but when there is a boy involved, I dare say that all brain cells and nerves may be working in full capacity of a girl's mind because it's amazing how one thing can morph into something that it's not. When every little thing turns into a possibility of what we want to happen, then we're crossing the boundary to the unhealthy dose of "optimism", which is really stupidity masked in optimism's clothing. :P Beware of that sneaky "sheep"! Sometimes, those things don't mean anything more than what it really is. Look at that big bouquet of flowers for someone else. At that polite smile plastered on his face. At how he rushed your mini-conversation to go off somewhere that's more important. At your inbox without his name on it. He was and still, just not that into you. Make peace with that truth. PS. Of course, all of these are just completely hypothetical. This incident is in no way real. This scene didn't happen, say... at 6:20pm today. Hahaha! Funny e nh :) i will tell you guys about it later!